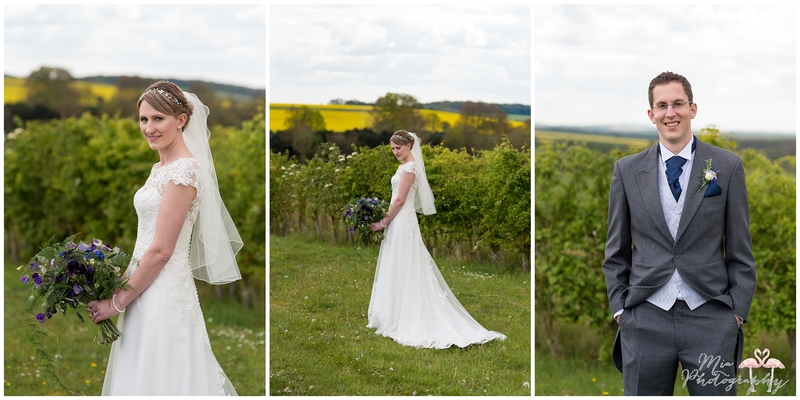 One of the things that strikes me about being able to shoot so regularly at one of the most beautiful venues in the South is how different and unique each wedding can be. 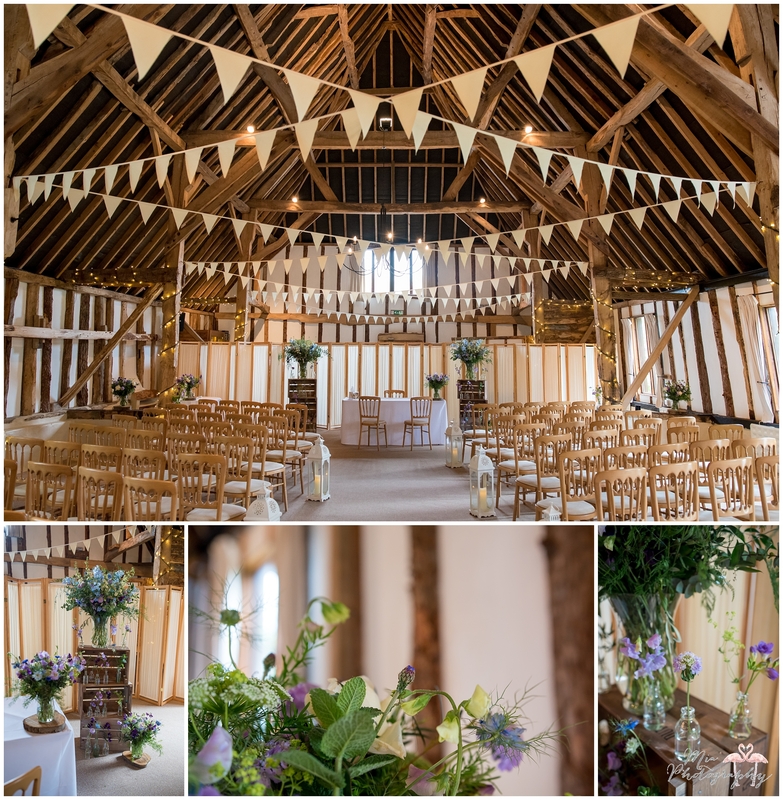 I absolutely adore Clock Barn in Hampshire, the staff there are just incredible; so helpful and lovely, plus the barn inside is flippin’ gorgeous! 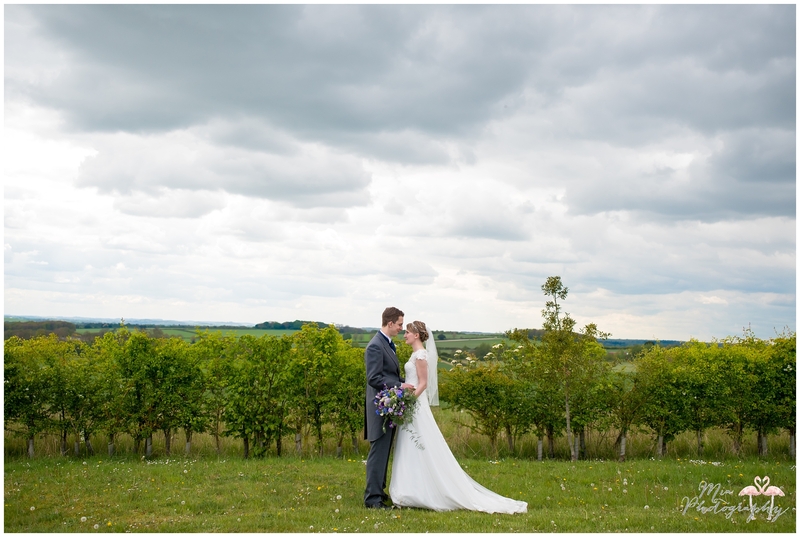 I love the fields that surround it too, they provide a moment so peaceful and serene in the business of your wedding day. 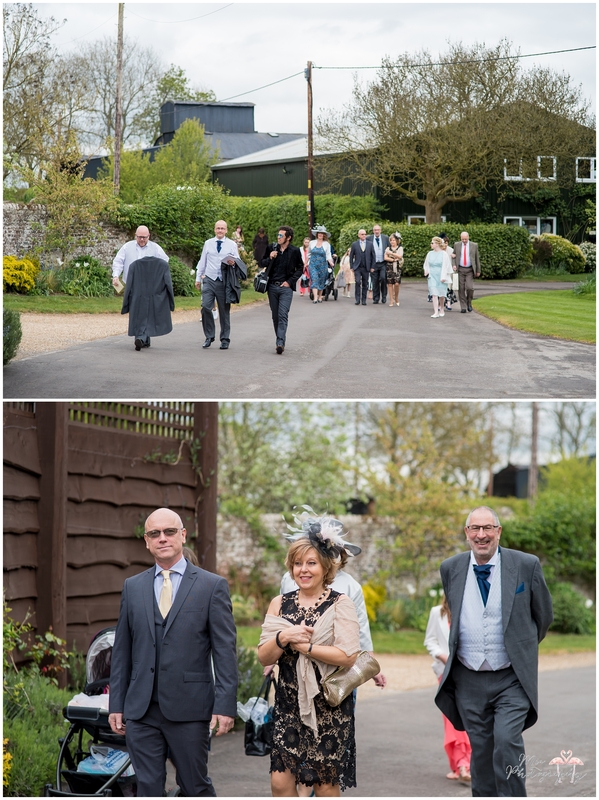 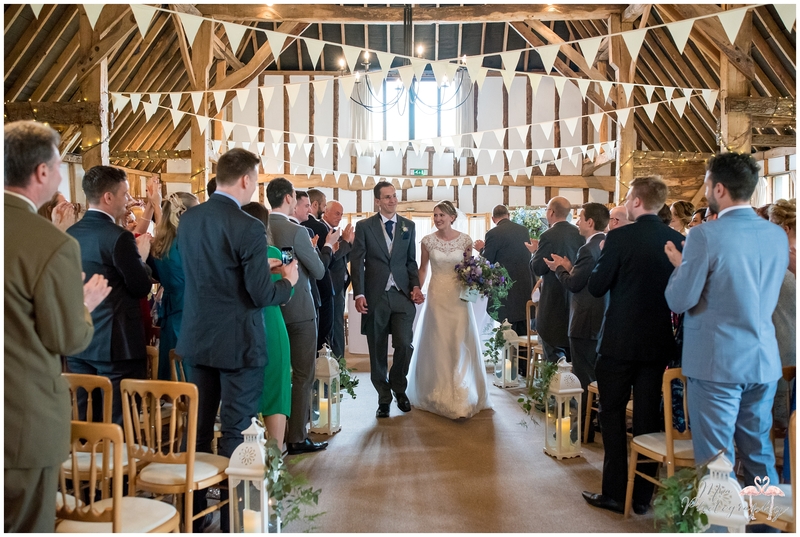 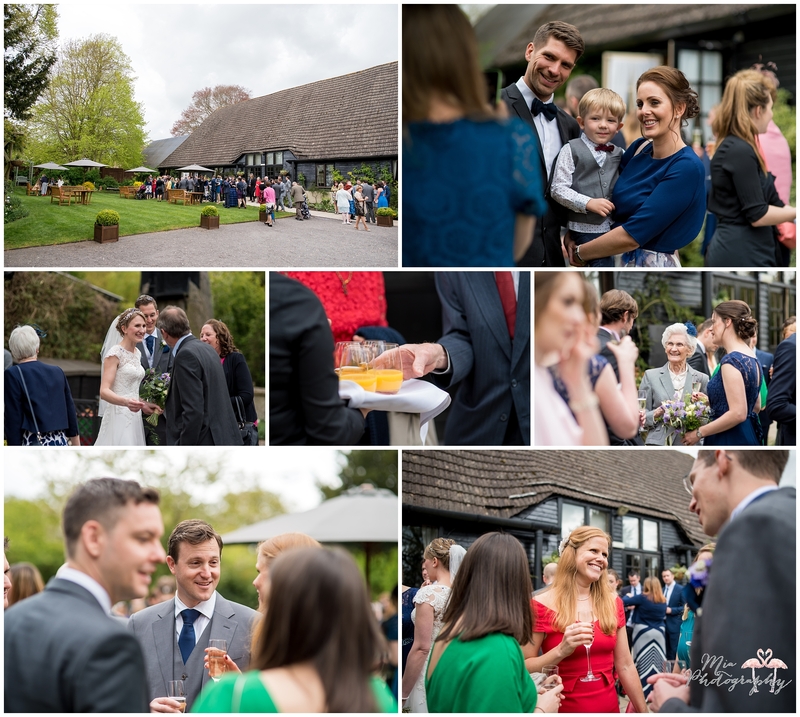 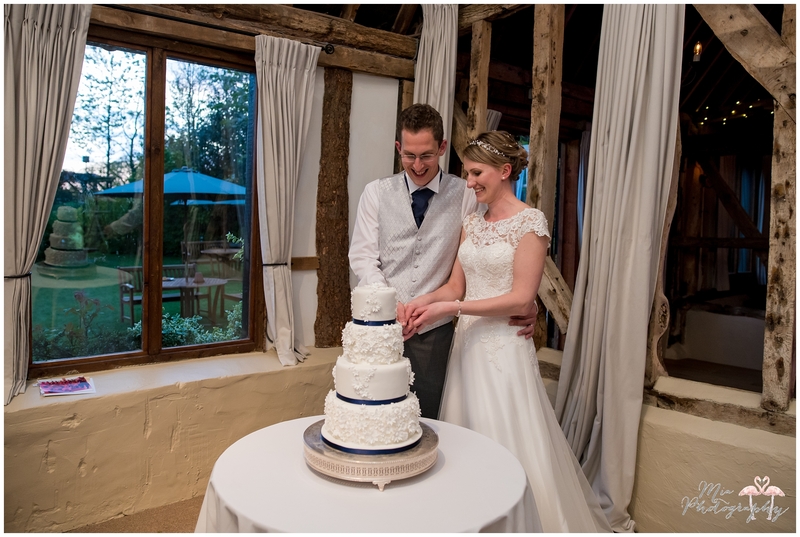 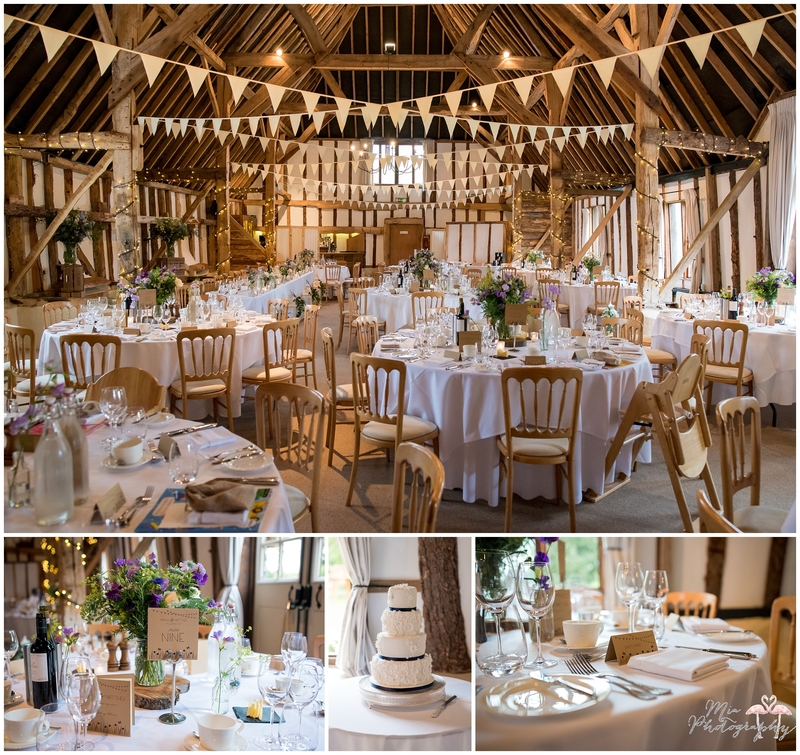 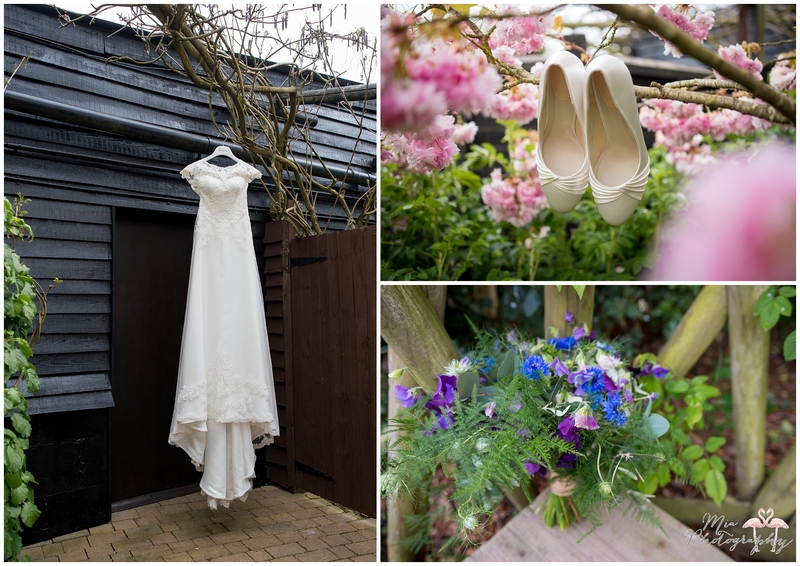 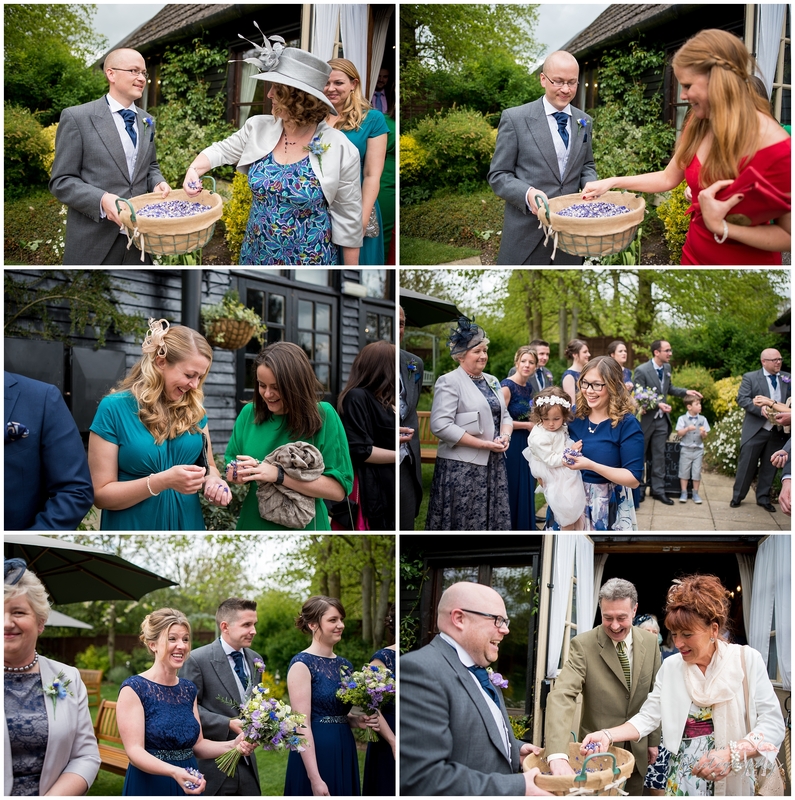 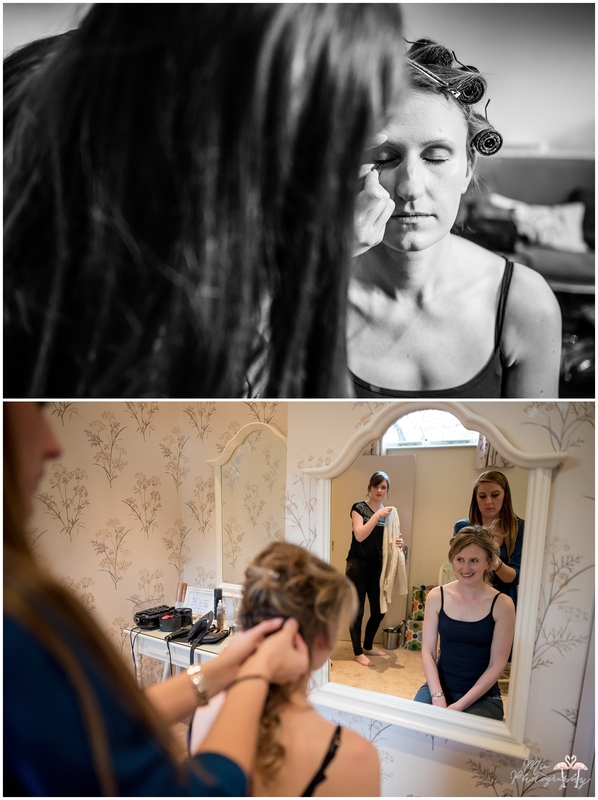 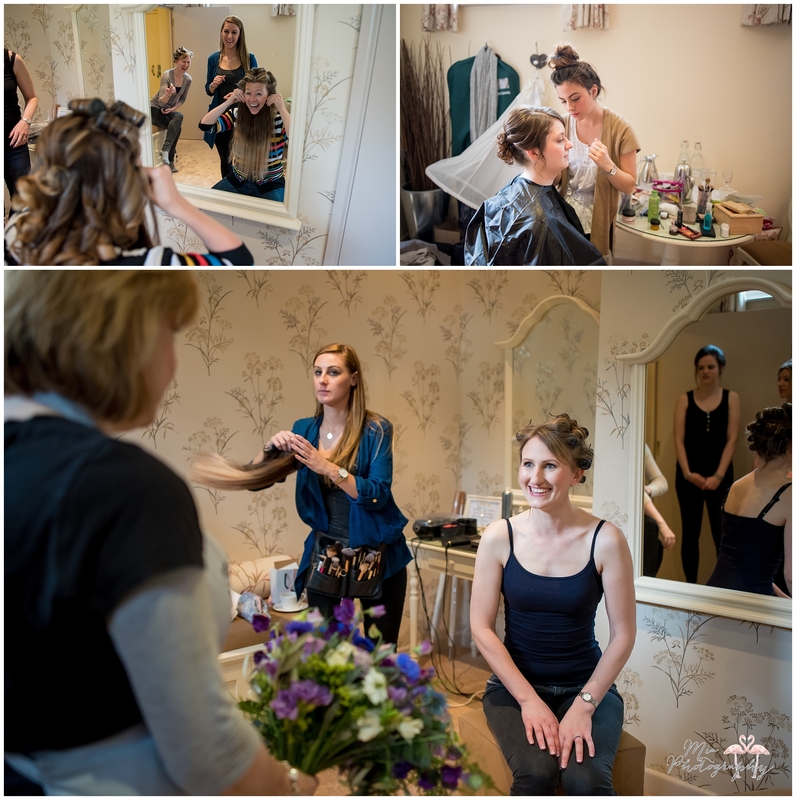 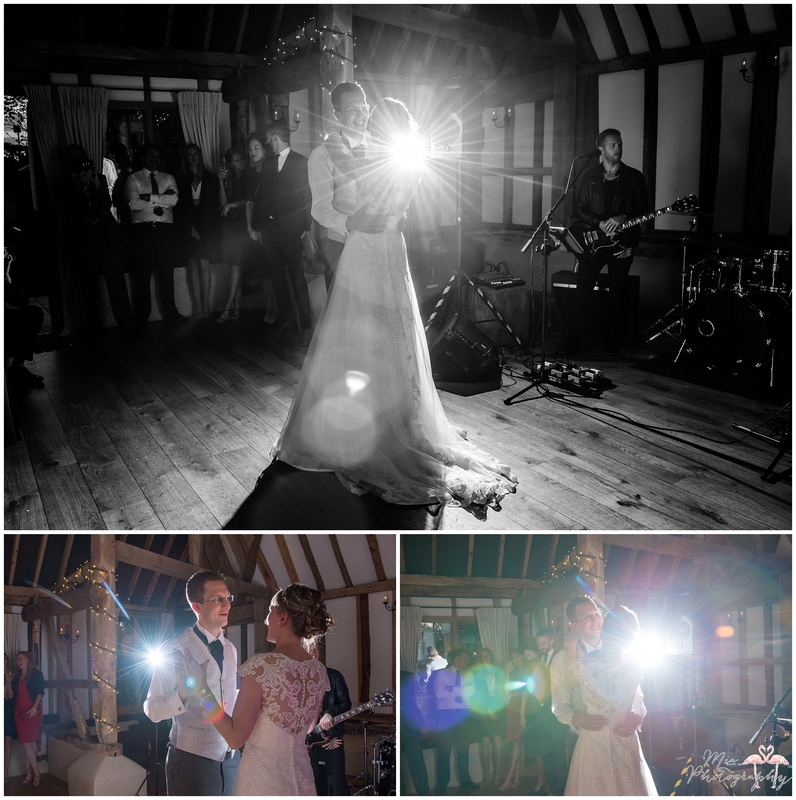 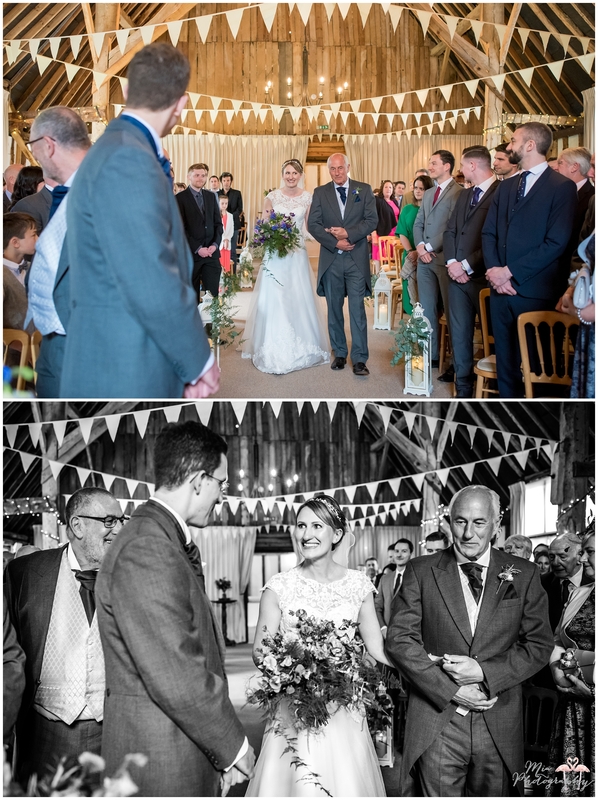 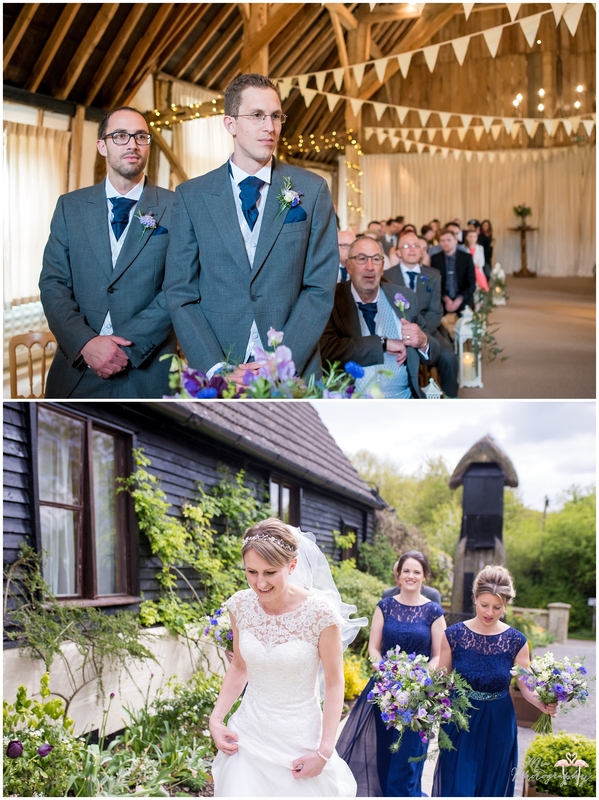 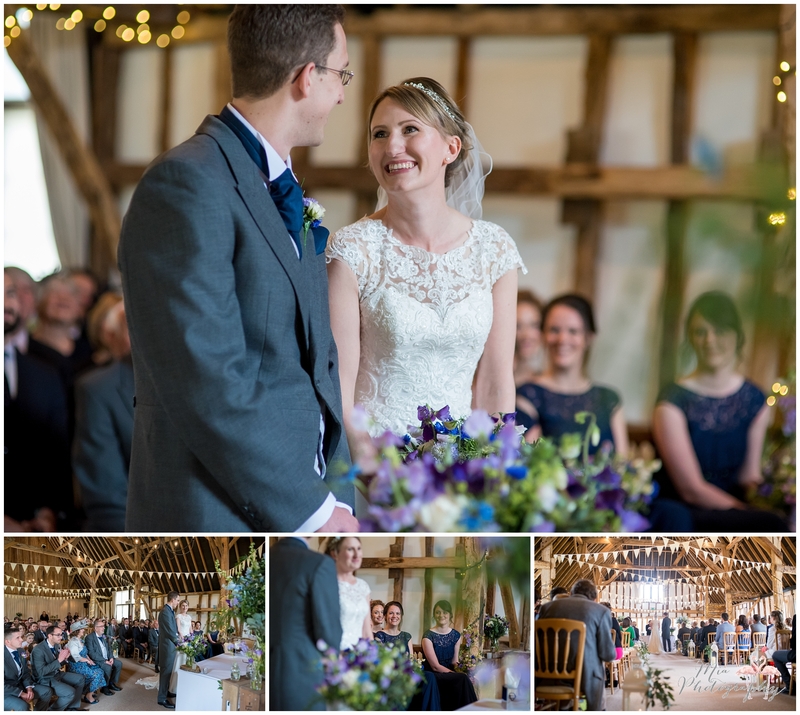 Natalie and Matt’s wedding at Clock Barn in April was simply stunning. 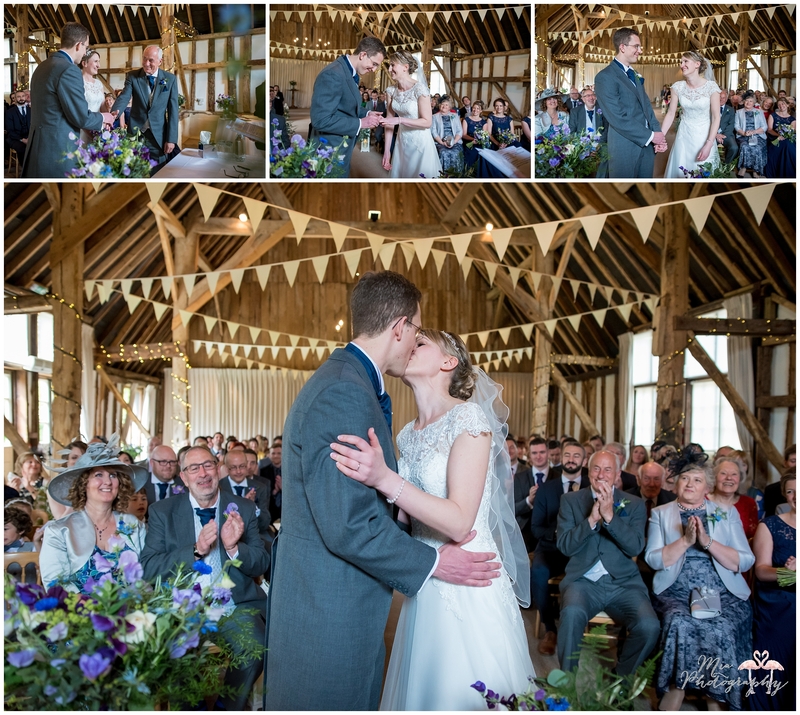 The couple had chosen the fabulous creations of Eden Blooms for their florist and they had the whole barn filled with beautiful flowers, all of which came together to smell absolutely amazing! 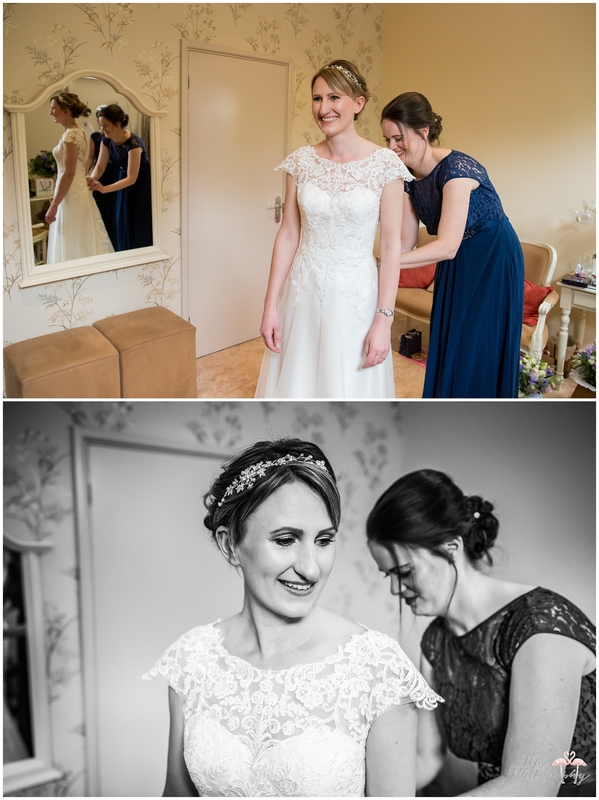 The bride looked incredible in her vintage inspired gown (it had such a beautiful back to it), contrasting so well with the indigo bridesmaids dresses, all the ladies crowned with smiles and laughter. 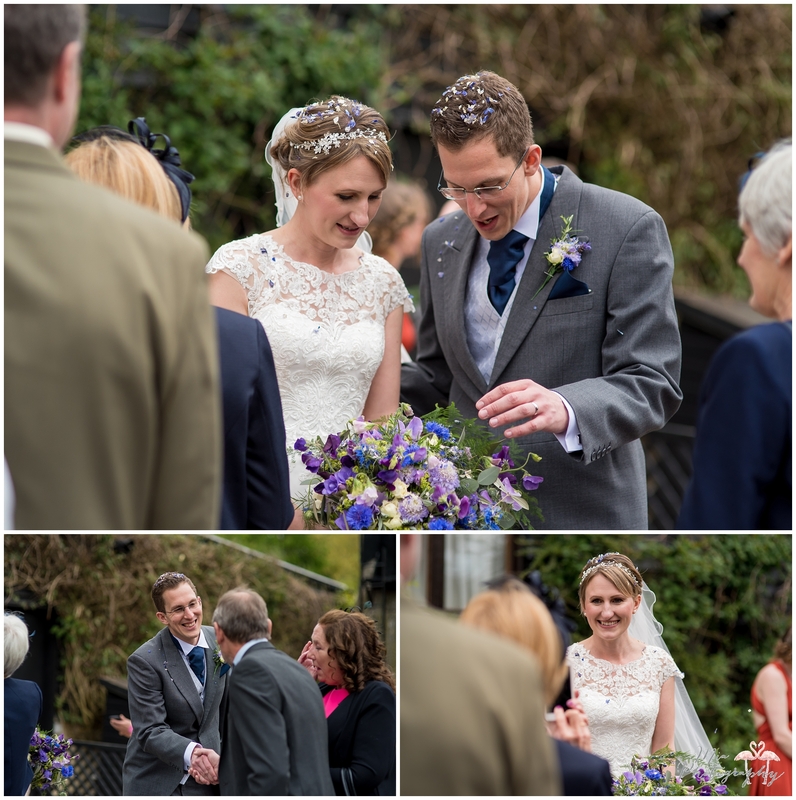 The flowers were a beautiful mix of blues and purples, such a different mix but they looked incredible. 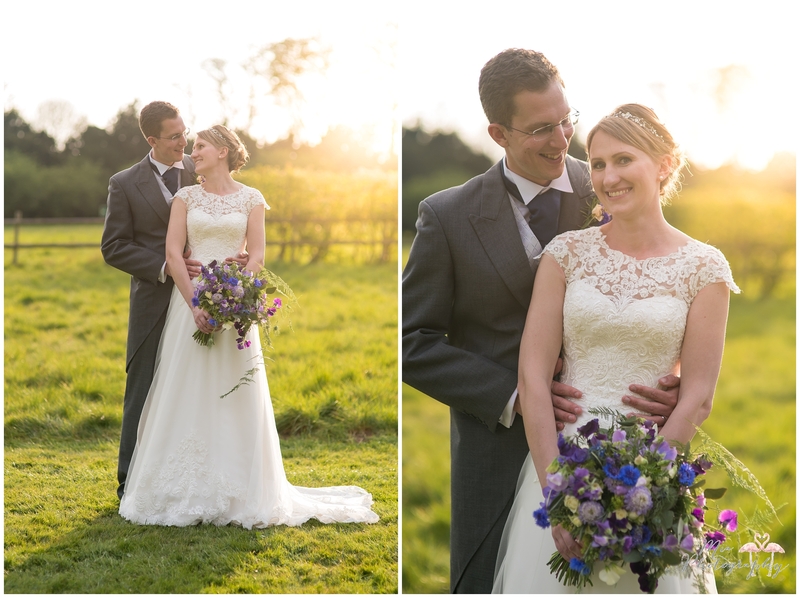 When we ventured out in the fields and hills that sun shine glow touched us, we were so lucky to get a glorious golden sunset, 10/10 on the romantic scale, and some beautiful pictures and memories made. 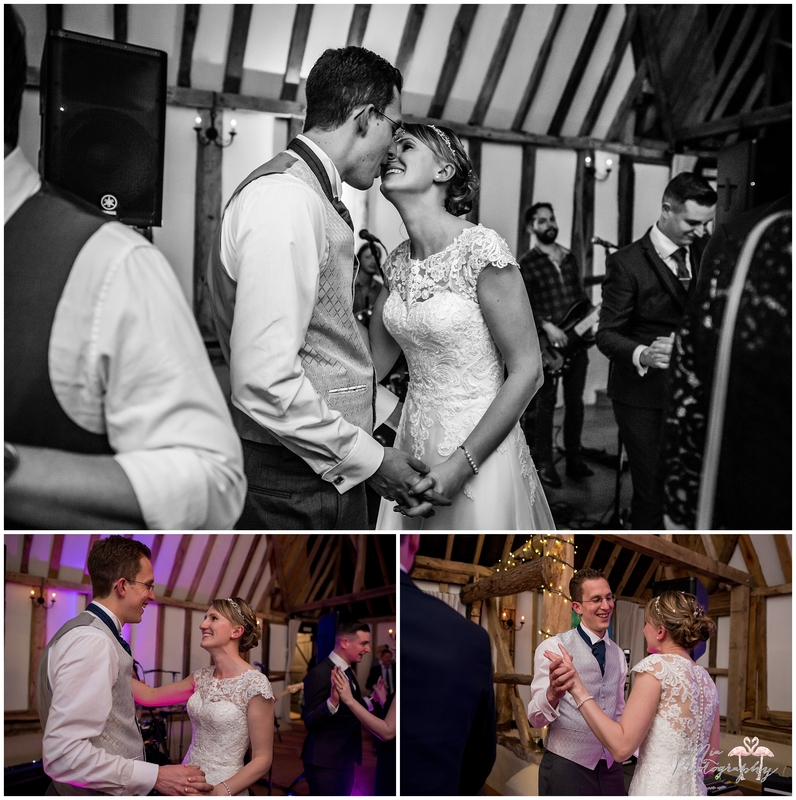 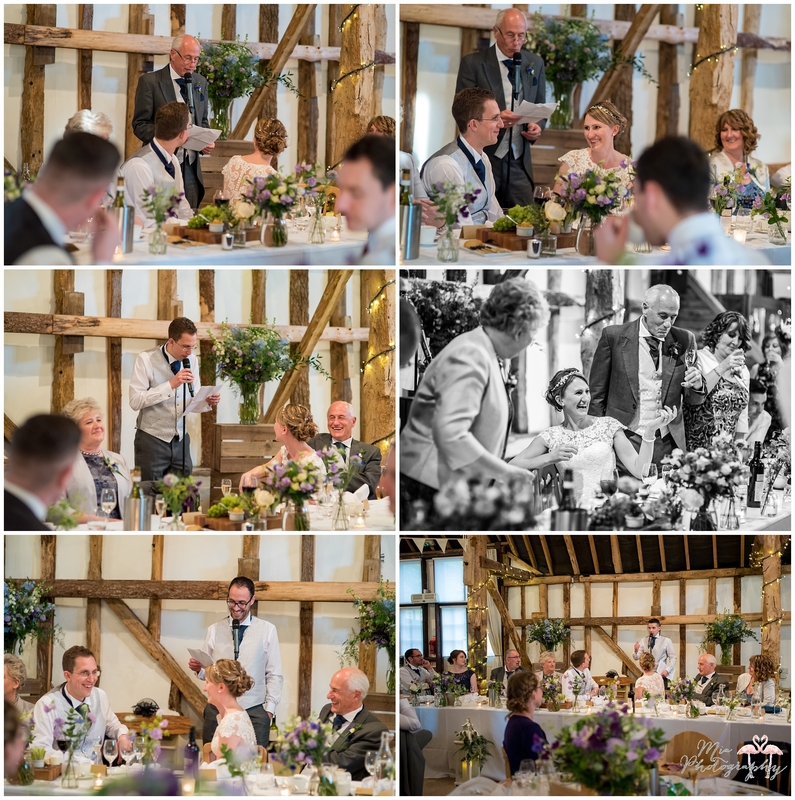 The guests enjoyed their meal and speeches in the beautiful barn amoungst the flowers and I got to watch the rest of the glorious sunset on my journey home, knowing I had left a very happy Natalie and Matt enjoying dancing and laughter with their family and friends. 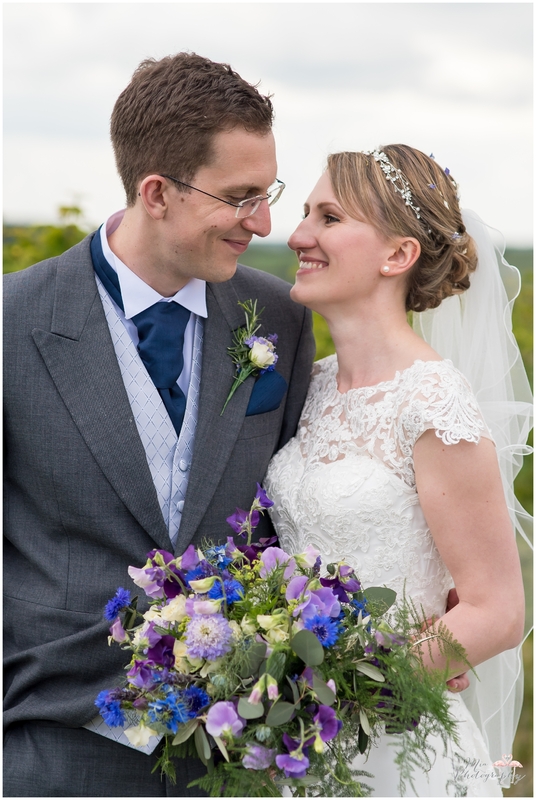 What a perfect day, thank you both for making Leoni and I feel so welcome and at home with you all. 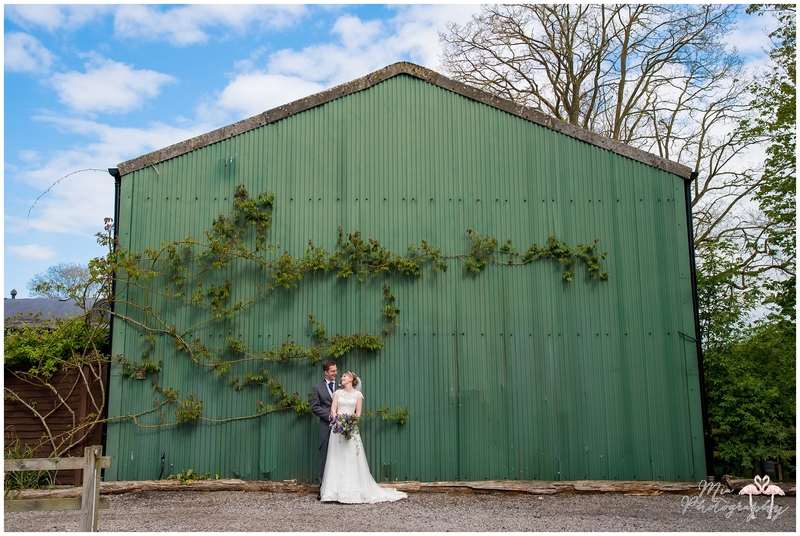 If you’d like to speak to me about capturing your Clock Barn in Hampshire wedding, feel free to contact me here.